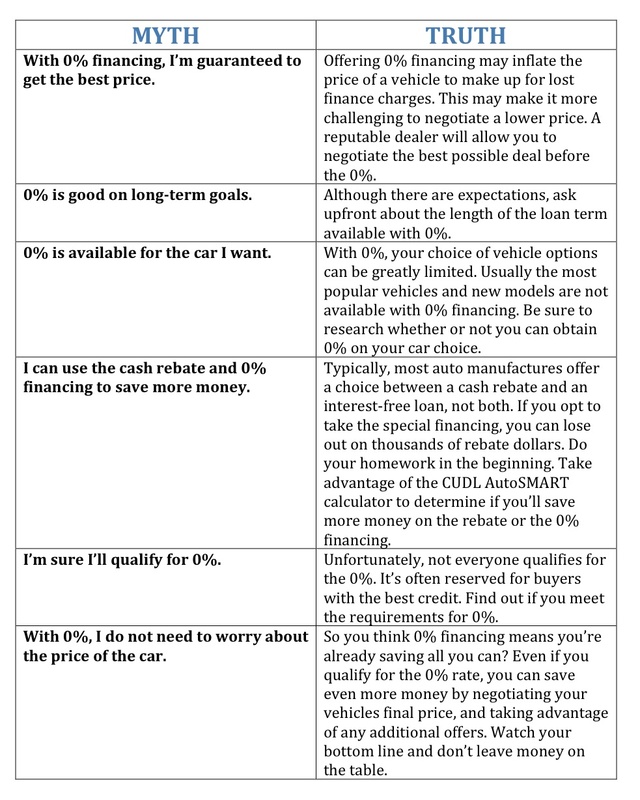 When it comes to getting an auto loan, take the time to carefully look at all your options. What you initially think is a great offer, may end up costing you more money in the long run. As a credit union member you are already aware of the many benefits First Financial offers, including low interest auto loans and great service tailored to your needs. By researching your auto financing options before you visit a dealership, you may find that when using First Financial’s low percentage rate you are still allowed to use any rebates offered by the manufacturer. This could be your best deal! Refer to our auto loans page for information and details about the loan, preferred dealers, links to apply online and our most recent rates and promotions. If you have any additional questions about our auto loans or refinancing options, contact us at 732.312.1500, e-mail us at info@firstffcu.com, or stop into any one of our branches. Don’t forget to use our FREE online car buying and research tool, AutoSMART! This tool allows you to look up new and pre-owned cars based on model, make, year, mileage, color and so much more. Buying and selling a car has never been easier, be sure to download the AutoSMART app for your Android or iPhone today! 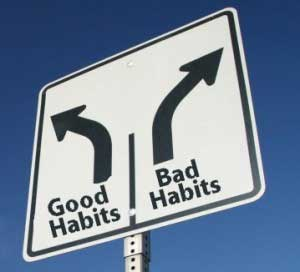 We all have little habits that tend to drain our finances. Perhaps it’s soda, online games, cigarettes, magazine subscriptions, gambling, wine, or movies. No matter what your poison, if it costs you time or money, it should be examined closely. Health and moral concerns aside, the wise consumer will examine his or her habits to determine if the benefits outweigh the costs, or if cutbacks are necessary to restore a healthy balance in one’s budget. One of the first steps in this process is to determine what you get (the benefits) out of your habits, and try to place a monetary value on those benefits. Health benefits: Many medical professionals recommend massage to reduce stress, increase circulation, and improve lymph drainage. If your health is compromised, or if you experience a lot of stress in your personal or work life, the monetary health benefits can be extraordinary. Let’s say four massages a week replaces a prescription muscle relaxer. In this case, we could say your monthly massages are worth $80 a month in health benefits. Productivity benefits: In our example, we could imagine weekly massages increase your work performance by reducing stress, allowing you to complete two extra projects a month. The productivity benefits could total $400 a month. Happiness benefits: If your massages bring you immense joy, you are less likely to spend money on other pursuits of happiness, and you can also place a monetary value on how your habit makes you feel. What’s your habit worth to you? How much would you pay to continue it? For our massage example, we could say our happiness value for this habit is about as pleasant as mowing the lawn is unpleasant. If we pay a lawn service $30 an hour, our massages would be worth $30 an hour in happiness, or $120 a month. That’s a total estimated monetary benefit of $600 a month. The next step is to calculate what your habit costs you. Not only will you have to determine your out-of-pocket expense (in this case, the cost we pay for the massages), but also such things as the cost of managing negative health impacts, transportation and maintenance costs, and the effect your habit has on your relationships. Out-of-Pocket Expenses: For our massage example, let’s say the cost of a weekly massage is $65 plus tip, equaling $308 a month. Transportation: If we travel 20 miles round-trip to the spa, we’ll estimate it costs you $0.74 per mile to maintain and operate your vehicle, equaling $59.20 per month in travel costs to our support our massage habit. Time: The time you invest in your habit is also considered a deduction. Our massage habit takes up four hours a week, plus two hours of travel time each month. If your time is worth $40 an hour, you’re losing $240 worth of time every month. For our massage habit example, our total cost is $607.20. Our conclusion is a weekly massage habit costs us $7.20 a month. Is it worth it? That’s where you need to decide if cutbacks are necessary. If you don’t want to drop your habit, try finding ways to reduce the impact of the overall cost to make your habit a wise choice. Do you have questions about any of your financial habits or would you like to make an appointment with a financial representative to discuss your financial plans? * First Financial is not responsible for the content listed on any external websites. 1. Track your expenses. Almost every financial plan starts with this most dreaded task. Unfortunately, without understanding where your money goes, it’s nearly impossible to make different choices about how to spend. The good news is that there are plenty of software programs to help you out, or you can use a plain old spreadsheet. You can also attend First Financial’s annual budgeting seminar and take home a customizable budget worksheet to reuse over and over again! 2. Establish adequate emergency reserve funds. Perhaps the single best way to protect yourself from unforeseen circumstances is to hold 6 to 12 months of living expenses in cash or cash equivalent accounts. For those in retirement, consider carrying 12 to 24 months of expenses. Don’t forget to replenish cash reserves for any bills that are coming up over the next year. 3. Earn more on your safe money. Sure, interest and dividend rates are low, but with a little work you can squeeze out some extra money. Shop around at a credit union like First Financial for a savings certificate*, and consider “I-bonds,” a kind of savings bond issued by the U.S. government, from treasurydirect.gov. 4. Get a handle on your risk tolerance. Before you make big changes to your investment accounts, take a risk assessment questionnaire, from our financial advisor. The results should help you re-balance your portfolio in a manner that is consistent with your needs and takes into account your emotions. 5. Determine whether you should manage your money or hire someone to do it. Do you have the time, energy, acumen and temperament necessary to successfully manage all of the components of your financial life? If not, it could be time to interview a financial professional and you’re in luck! Here at First Financial we have our own financial advisor who is here to help you! If you would like to set up a no-cost consultation with the Investment & Retirement Center** to discuss your savings goals, contact them at 732.312.1500. 6. Stop trying to beat the market. “Most investors are not beating the market; the market is beating them,” says Charles D. Ellis, a consultant to large institutional investors. Ellis conducted research that found that only one in five mutual fund managers beats the index over the long run. With those odds, investors would be wise to replace actively individual stocks and managed mutual funds with index or exchange-traded funds. 7. Calculate your retirement number. Many people say they are worried about retirement, but most of them haven’t done any planning to help themselves. Any conversation about retirement must start with an easy step — calculating how much in savings people need to ensure a financially secure retirement. The Employee Benefit Research Institute’s “Choose to Save Ballpark E$timate” tool is easy to use, or check out your retirement plan/401(k) website for more retirement tools. 8. Maximize retirement contributions. The federal government is helping on this front by increasing the limit for employees who participate in 401(k), 403(b), most 457 plans and the government’s Thrift Savings Plan to $17,500 from $17,000. The catch-up contribution limit for employees aged 50 and over remains unchanged, at $5,500. The limit on annual contributions to traditional and Roth IRAs will rise by $500 to $5,500. 9. Consider buying a home. The real estate market is recovering, which means that those who have been sitting on the sidelines may want to take the plunge on a new home. Still, make sure you weigh whether you are better off renting or buying with this NY Times calculator and click here to use our home calculator on our webpage to help you find out how much home you can afford. 10. Refinance your mortgage. Mortgage rates are at historically low rates and appraisals are starting to rise, so even if you haven’t been able to refinance in the past couple of years, try again. Use this re-fi calculator to determine how much you may be able to save or how many years you could potentially shave off the term of your mortgage. 11. Assess your property insurance, Superstorm Sandy was a painful lesson in the limits of homeowners insurance. The best time to review your policy is before an event occurs, not after. The three biggest mistakes people make with homeowners insurance are: 1) under-insuring; 2) shopping by price only and not comparing apples to apples; and 3) not reading policy details before a loss occurs. 12. Review life, disability and long-term care insurance coverage. This is the part of your financial life where an error can cause huge damage to your family. For life insurance, make sure you have enough with this online calculator. Nine times out of 10, term life insurance is the best bet. For disability insurance, enroll in your company’s plan, if offered. If you are self-employed, shop around and buy at least some coverage. If you’re over 50, time to shop around for long-term care insurance. 13. Create/review/update estate documents: Hire a lawyer to prepare a will, power of attorney and health care proxy/living will documents. If you prefer doing it yourself, you can use software like Quicken WillMaker. As part of the process, create a go-to list of documents, which can include key information about investment accounts, insurance policies, auto titles, income tax returns. Estate records and final instructions also should be stored in a safe place — don’t forget to provide copies to your executor or trustee. First Financial is not responsible for the content listed on external websites. **Non-deposit investment and insurance products are not federally insured, involve investement risk, may lose value, and are not obligations of or guaranteed by the Credit Union. ***First Financial FCU is an Equal Housing Lender. APR = Annual Percentage Rate. Subject to credit approval. Credit worthiness determines your APR. Rates quoted assume excellent borrower credit history and are for qualified borrowers. Your actual APR may vary based on your state of residence, approved loan amount, applicable discounts and your credit history. Higher rates may apply depending on terms of loan and credit worthiness. Available on primary residence only. The Interest Rates, Annual Percentage Rate (APR), and fees are based on current market rates, are for informational purposes only, are subject to change without notice and may be adjusted based on several factors including, but not limited to, property location, loan amount, loan type, occupancy, property type, loan to value, debt to income ratios, FICO credit scores, refinance with cash out and other variables. Mortgage insurance may be required depending on loan guidelines. This is not a credit decision or a commitment to lend. If mortgage insurance is required, the mortgage insurance premium could increase the APR and the monthly mortgage payment. See Credit Union for details. A First Financial membership is required to obtain a mortgage and is open to anyone who lives, works, worships, or attends school in Monmouth or Ocean Counties.